Since 2006, more than 40 organizations around the world have developed their own unique community programs by expanding on and duplicating the Café Plus model. Below are examples of the varied organizations and communities that are benefiting from the exceptional quality of interaction, service, and support the Café Plus model makes possible. The following are examples of the Café Plus model in action. From nutritious meals to wellness exercises to used books, these locations are reaching older adults and impacting their lives. Soprema opened in March 2013 and was an instant hit with young and old alike; today, more than 3,000 older adults are members. Programming reveals a creative blend of social, recreational, educational, and health/wellness focuses. Older adults can participate in traditional day programs like cards and games—and they can also opt for innovative programs such as an intergenerational technology classes and fitness programs designed for older adults. Soprema relies on collaboration and partnerships with other local organizations, sharing staff and resources across a multi-generational campus that includes Wadsworth High School and the town’s community center. Through the generosity of its many partners, Soprema Senior Center membership is free. Salt Lake County (Utah) Aging & Adult Services has created a welcoming gathering place for people of all ages housed within a community center, which the agency outsources for congregate meals. Café Evergreen caters to a large population of grandparents who care for their grandchildren. Café Evergreen features intergenerational programming, like technology classes with kids teaching the older adults. From a memory arts program to a used bookstore to Meals on Wheels, Birt’s Bistro in Surprise, Arizona, serves up a wealth of programs for older adults. Set up as a for-profit Social Enterprise Bistro, Birt’s generates a profit for the human services agency Benevilla—and also acts as a “feeder” for volunteers, clients, and donors for the agency. Birt’s is also unique in that it employs on-site social workers, who are available to help community members with advice and resource recommendations. LifeCare Alliance in Columbus, Ohio, has a long-time mission of providing nutrition to older adults. The organization built Carrie’s Café to consolidate their nearly 30 dining centers and to improve the customer experience. They also opened the Café to the public for additional revenue. Today, Carrie’s Café serves healthy, low-cost meals to 125 to 300 older adults each day. Starting a community outreach program for older adults doesn’t require a six-figure budget to succeed. Clark-Lindsey, a senior living residence in Urbana, Illinois, adapted the Café Plus model. They started a monthly “without walls” luncheon program in a shopping mall from scratch, and exceeded its goals within the first year. Café Plus allows this senior living provider to fulfill the social accountability portion of its mission. The map below features all of the Café Plus locations in the United States. Click on a location for additional details. Interested in learning how to create a Café Plus? If you have questions or would like to get more information, MatherLifeWays is here to help. There are even opportunities for you to see our Chicago locations in person to get tangible, behind-the-scenes advice on operating an outreach program. Call (847) 492.7500 or fill out the form below and a Café Plus expert will e-mail you. Get research-based tips from Mather LifeWays to help you make the most out of every day. From simple habits that boost brain health to easy steps toward building resilience and happiness, each small tidbit can make a big difference in your life. 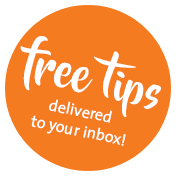 Sign up to receive tips by e-mail, or follow us on Facebook or Twitter.